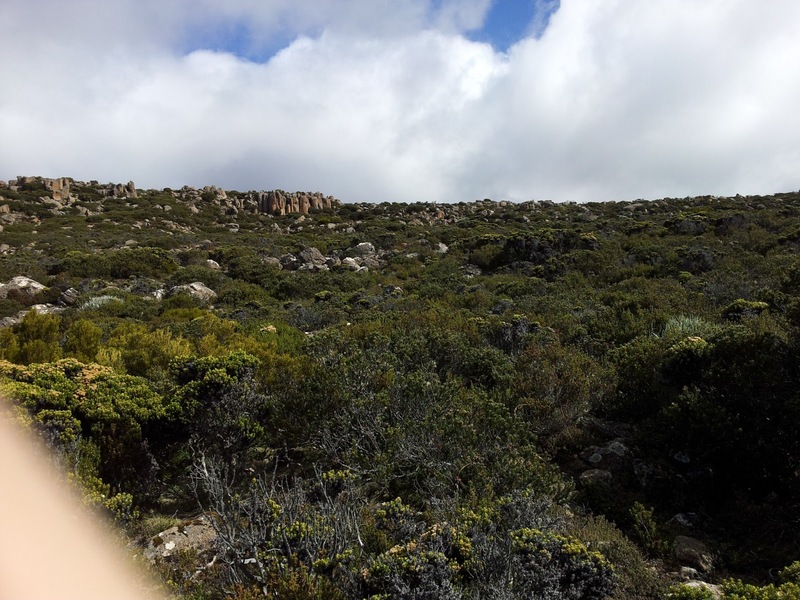 From what I understand, Mount Wellington is one of the main tourist attractions here in Hobart. Standing at 1271m tall, the views are said to be spectacular, and it's even high enough for snow. Hobart is a really pretty place in general, but I've been keen to visit Mount Wellington since I heard about it. What better time to go than now, during our one-week Easter break, when it's only the starting of autumn and there is hopefully NO SNOW? So, not-so-bright-and-early this morning (one car had a flat tyre that had to be taken care of), eighteen of us piled into four cars and made our way there. Our group consisted mainly of first-year Med kids, with some friends/boyfriends who were visiting Tasmania...so, no, we weren't making med references the whole time. We drove about halfway up to The Springs, parked the cars, and hiked the rest of the way up. And when I say 'up', I mean up. Okay, wait, look. The most exercise I get is when I walk from Jane to the city to buy stuff, and the stuff I buy is usually food. Suffice to say that I am not the fittest person in the world. When you combine that with a history of asthma and lungs that just really don't like cold air, it's a pretty gruelling hike up. 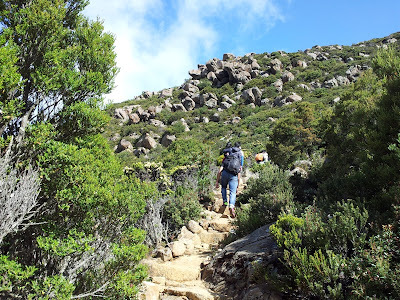 It was supposed to take one and a half hours (which may not sound like much, but remember: uphill! ), but we probably took longer because of all the times we stopped to rest. To be honest, it wasn't as steep as I expected, and it reminded me quite a bit of Gasing Hill back home. I was far too out of breath to feel nostalgic, however. And then, we reached the Pinnacle. Hikers coming downhill had told us that it was windy, but, wow, the Pinnacle was windy like I had never experienced before. Tiffany nearly got literally blown away approaching the top, and I myself was stumbling when we got there. My clearest memory of standing on the Pinnacle rocks is Marcus going "Shiiiiit!" as his jacket flapped like crazy when the wind blew. We got off the rocks pretty quickly to seek shelter in the lookout building. It was lucky that we did, because not long after that, it started to rain. Terence claimed it was hail, saying there was ice on Michael's jacket, but I don't know about that. It did hurt my face, though, that was for sure. 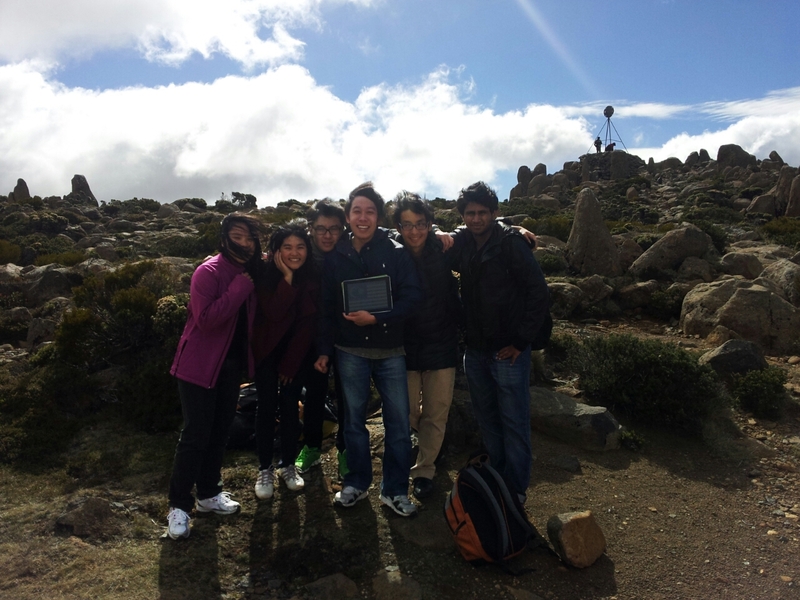 The Malaysians plus Brenden reached the top first, so here is our 'Malaysia Boleh!' photo taken by Brenden. Calvin is displaying the Jalur Gemilang on his iPad. Because it started to rain again, it was decided that those who were driving would head back down, drive up, and drive everyone down again. They all managed to get a lift from someone in a van (bless you, random van driver), so it wasn't long before they were back. And then we went to the Cadbury chocolate factory! It wasn't as exciting as it sounds, because we were too late for the tour. We did get to buy chocolate, though! 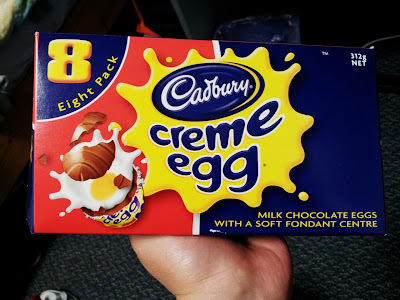 I had my first creme egg today, which is basically a super-sweet diabetic's nightmare! Also, we got goodie bags with free chocolate! I've eaten so much chocolate over the Easter break that I have a sore throat, but yay chocolate! I'll have to make another trip there before going home at the end of the year, because I suspect my family might not pick me up from the airport if I do not arrive bearing chocolate. Mmm, chocolate. So that was my day. It was probably the most exciting one I've had in Hobart so far, and it was great. It's been a good Easter break overall, really. We have midsems coming up soon, though, eww. Mugging time! Diabetes? What is this diabetes thing? 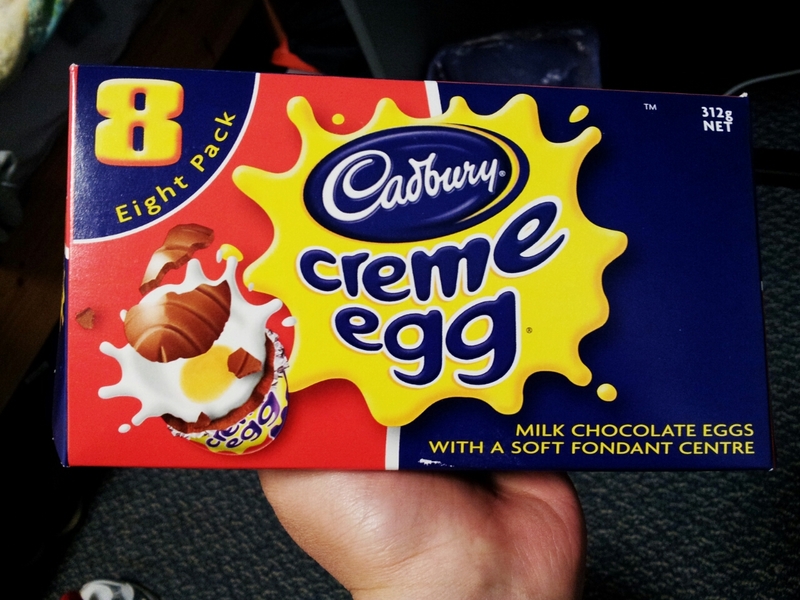 I think a few of my tastebuds died when I had the creme egg, haha. Sweetness overload!